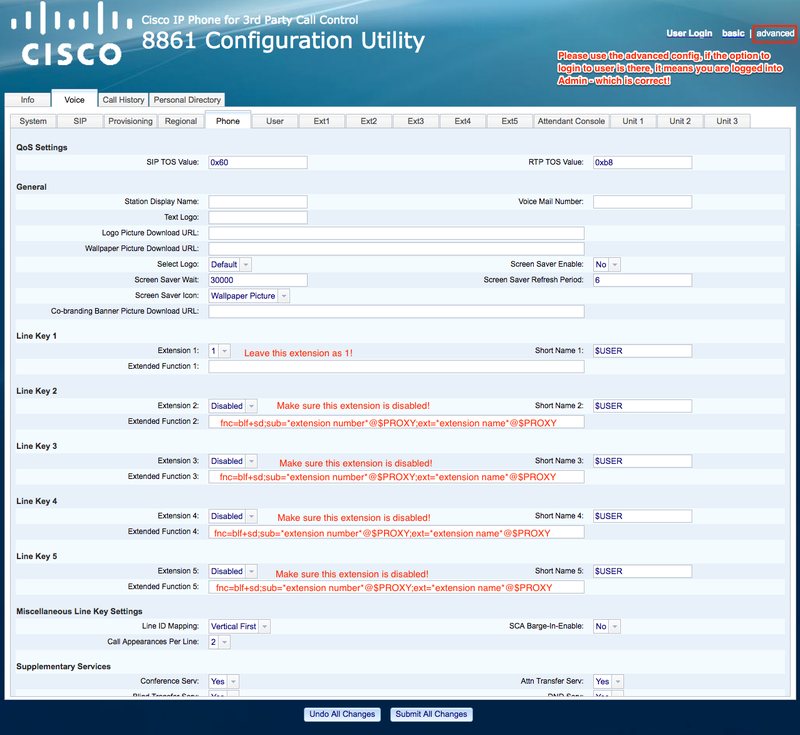 Home > VoIP Support FAQ > VoIP Phones > How do I set up BLF on my Cisco 8861? How do I set up BLF on my Cisco 8861? You'll have to update your Cisco to the latest firmware first (10.4.1 SR2 or higher) - which is done via downloading the firmware from a TFTP server. Without the latest firmware, these options won't appear! Once you click Save changes, you'll then see it light up on your 8861 if done correctly! If not, then check the syntax and the extensions you have entered and try again!